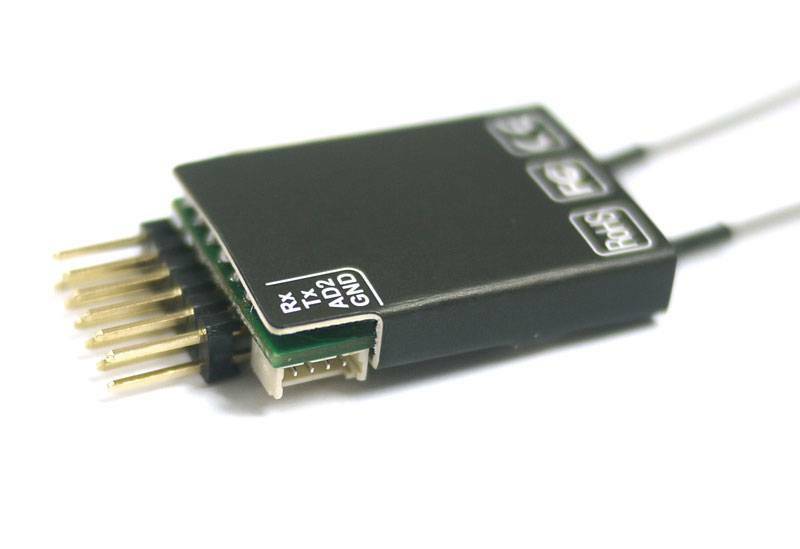 Full telemetry data port, CPPM and RSSI output options and a very compact size. What makes this receiver different than the D4FR? 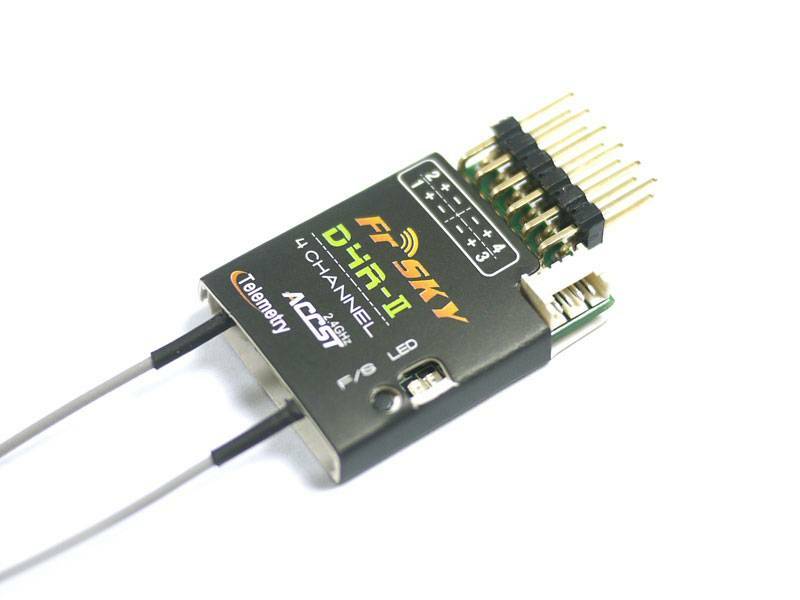 The D4R-II's data port allows you to connect a sensor hub so you can connect GPS, Variometer, temperature, RPM and all of the other great FrSky sensors. It also has 2 full length detachable antennas. They managed to squeeze all this into a package just a little larger then the D4FR. NOTE: For your safety all D4R-II receivers sold by Aloft Hobbies feature the 27ms firmware upgrade already installed, this allows safe use of all 8 channels when using the CPPM mode.